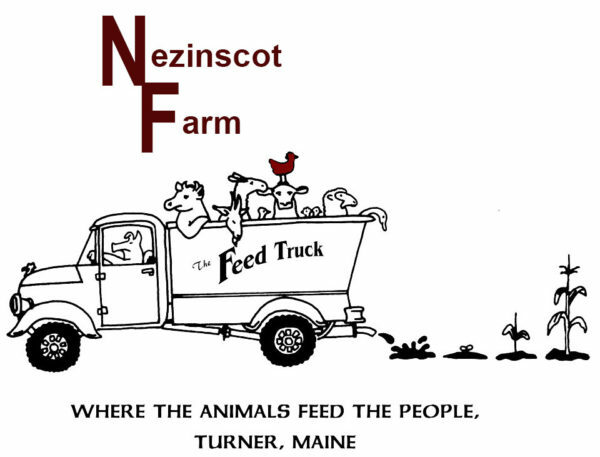 Nezinscot Farm became the first certified Organic dairy in the state of Maine in 1994. In 1997 joined Organic Valley Cooperative and began shipping our cows milk wholesale. We have anywhere from 90 to 125 milking cows. ( Holsteins, jerseys, brown swiss & crosses) As a certified producer of organic milk, we do not use antibiotics or hormones on our cows. We utilize homeopathic methods in caring for them, and we maintain as stress-free of an environment as possible for the animals. 90% of all our animal feed is grown by us and the remaining 10% a feed blend of cornmeal, oats, barley, powdered soymeal, and minerals. We encourage you to visit the organic valley website to learn more about our farmer-owned co-op and the positive impact that we are making across the country. We help keep small family farms in business. Check out our Fromagerie page to get a taste of the cheese we make with our fresh milk.